THE MOTH is an acclaimed not-for-profit organization dedicated to the art and craft of storytelling. 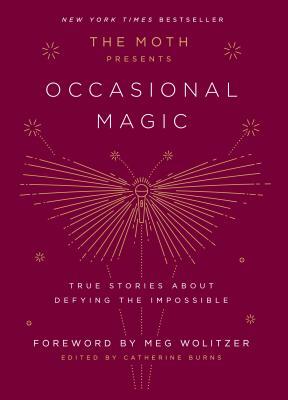 It is a celebration of both the raconteur, who breathes fire into true tales of ordinary life, and the storytelling novice, who has lived through something extraordinary and yearns to share it. At the center of each performance is the story, and The Moth's directors work with each storyteller to find, shape, and present it. Since its launch in 1997, The Moth has presented thousands of stories, told live and without notes, to standing-room-only crowds worldwide. The Moth received the MacArthur Award for Creative and Effective Institutions in January 2012. CATHERINE BURNS is artistic director of The Moth and the editor of The Moth: 50 True Stories and The Moth Presents All These Wonders. “The kind of stories that mesmerize everyone in the car.... Moving."